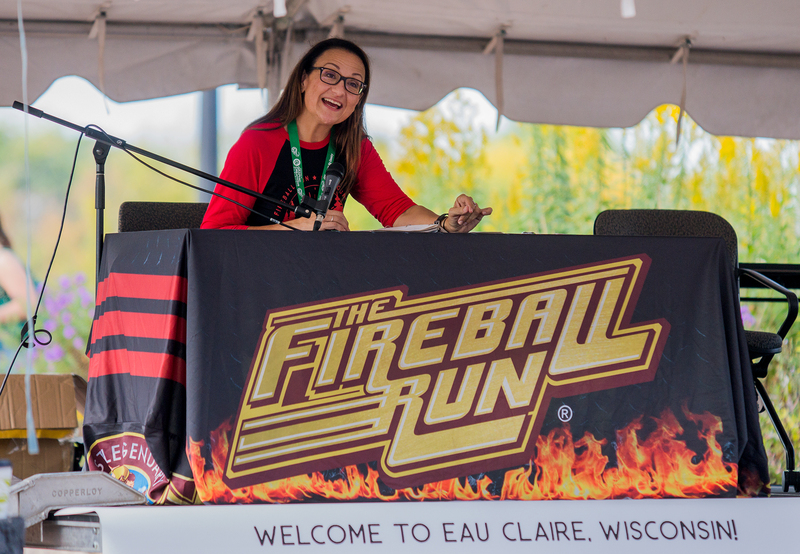 Eau Claire Kicks off the Fireball Run! 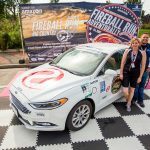 All 30 episodes of Fireball Run’s 11th season premiere January 15th on Amazon Prime. 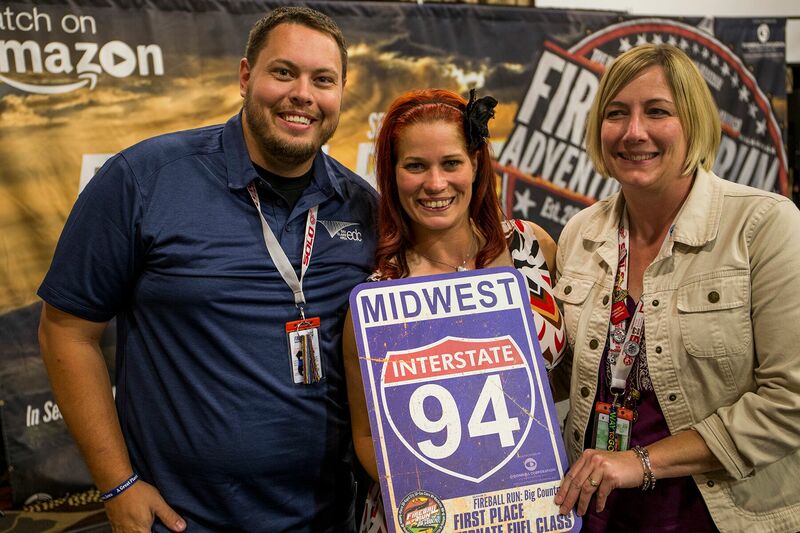 This fast-moving series takes audiences on the ultimate road trip. 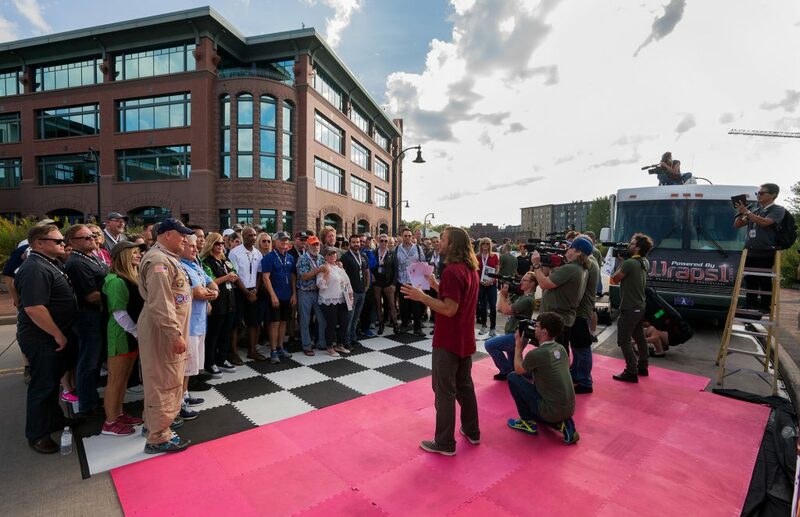 To win the life-sized trivia game, teams take the road less traveled and accumulate points for locating and arriving to places on time and successfully accomplishing tasks. 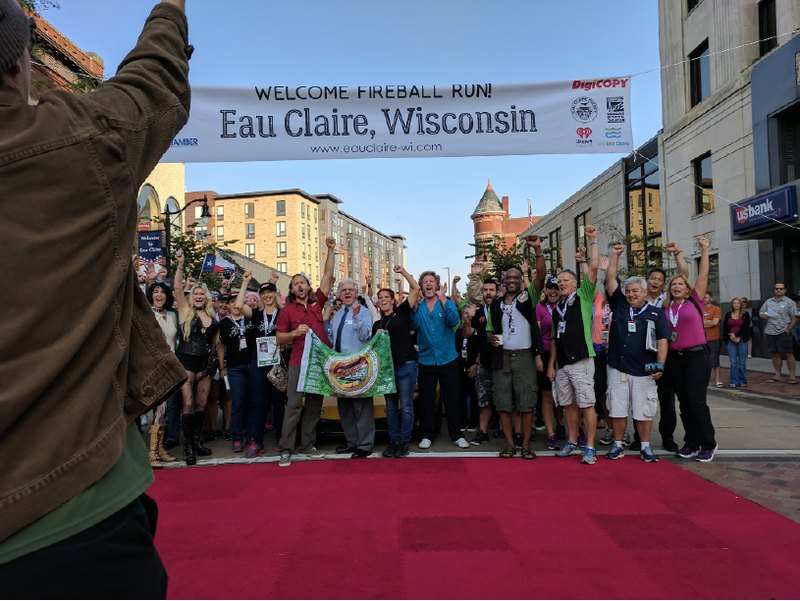 Eau Claire served as a the Green Light, or starting city, film location for contestants and film crews and is prominently featured within several episodes of the acclaimed series. 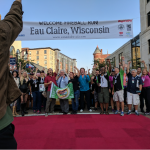 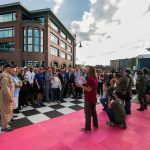 Setting off from beautiful Eau Claire, Wisconsin, teams had to traverse 2,000 miles before finishing to a massive spectator-attended parade finale in Rapid City, South Dakota. 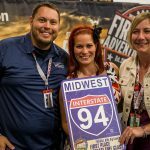 Hosted by Ivan Ellis and Professional Wrestler Sassy Stephie, Fireball Run is the story of 40 driving teams as they compete in an epic quest to find America’s obscure historic artifacts, unique attractions, and amazing experiences. 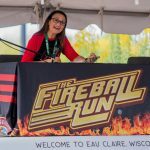 Unlike Reality TV, Fireball Run is real- and one of the most complex television shows ever filmed. 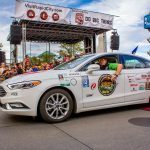 Driving teams are tasked with clues which, if solved on time, lead to an array of amazing artifacts, physical challenges and unusual experiences spanning the Midwest. 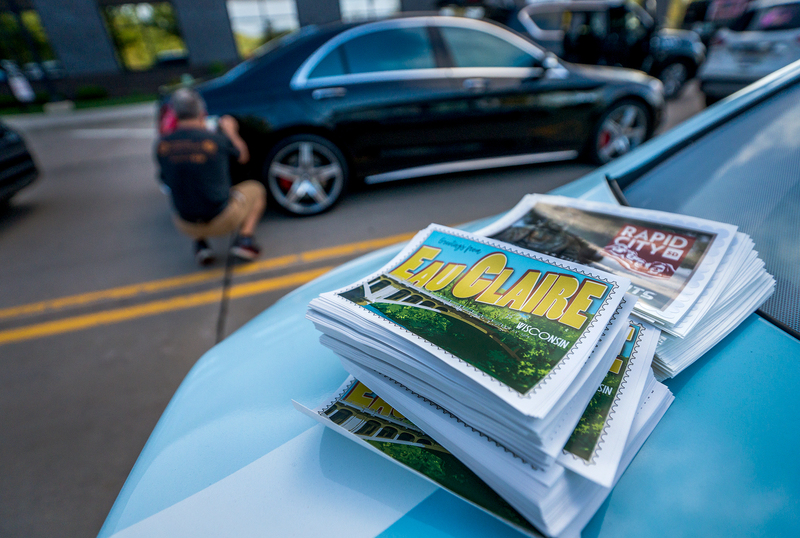 Along the journey they rediscover offbeat places like the Minnesota town with the world’s first waterski, the curious Wisconsin birthplace the Gideon Bible, a secretive Iowa Masonic lodge safeguarding profound White House relics, location of the real American Gothic, a beloved M*A*S*H character’s quirky hometown, a city that races giant combine harvesters for sport, site of the world’s largest popcorn ball, the true burial place of “Wild Bill” Hickock’s infamous murderer, a tiny South Dakota hamlet with a big movie secret, the State Capitol with a curious collection of miniature ball gowns, and the extraordinary gallery where America’s founding fathers remain frozen in time. 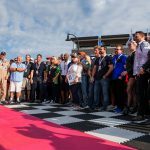 Notable participants include Original Red Power Ranger Austin St. John, cult film favorite, actor Brian O’Halloran, Malls Rats, Clerks, Jay & Silent Bob, Miss America’s Sharlene Hawkes and Nicole Johnson, Brazilian Astronaut Col. Macros Pontes, Jacqueline Seigel, star of the Queen of Versailles and Celebrity Wife Swap, and International Best-Selling author Jay Menez. 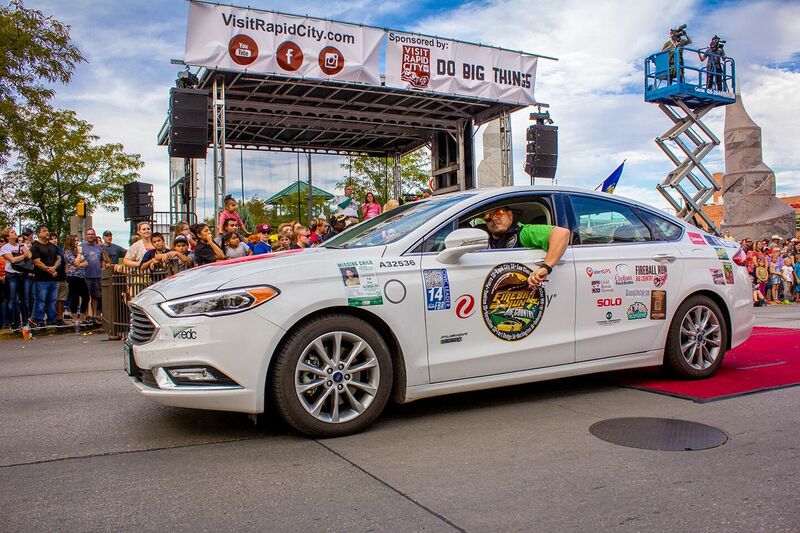 Eau Claire was not only the starting line for this adventure to bring the children home – but Luke Hanson, Executive Director of the EDC, and Julie Thoney, Community Service & Economic Development Manager of Xcel, was one of the 40 teams and handed out missing children posters throughout the entire 2,000 mile journey. In addition to assisting in the nation’s largest effort to recover missing children, Hanson and Thoney won First Place for Alternate Fuel Class (shown above with Professional Wrestler Sassy Stephie in the middle) in the competition. 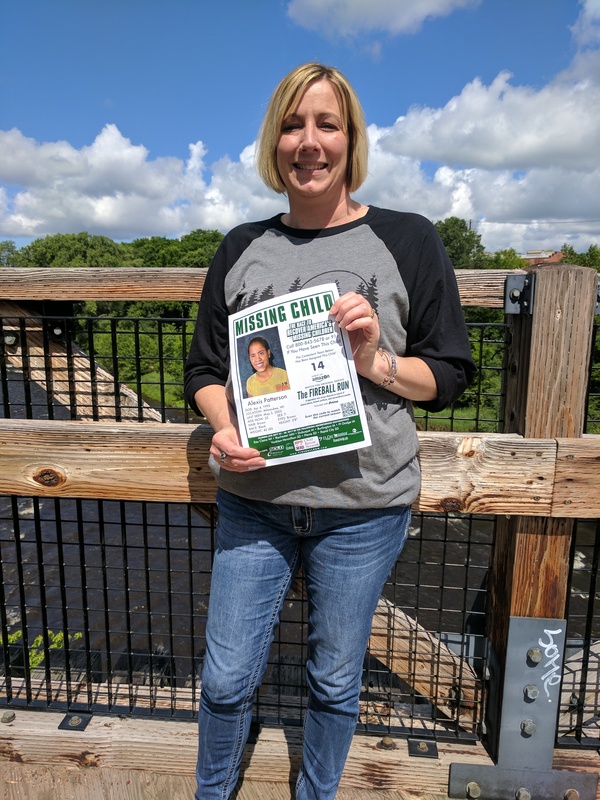 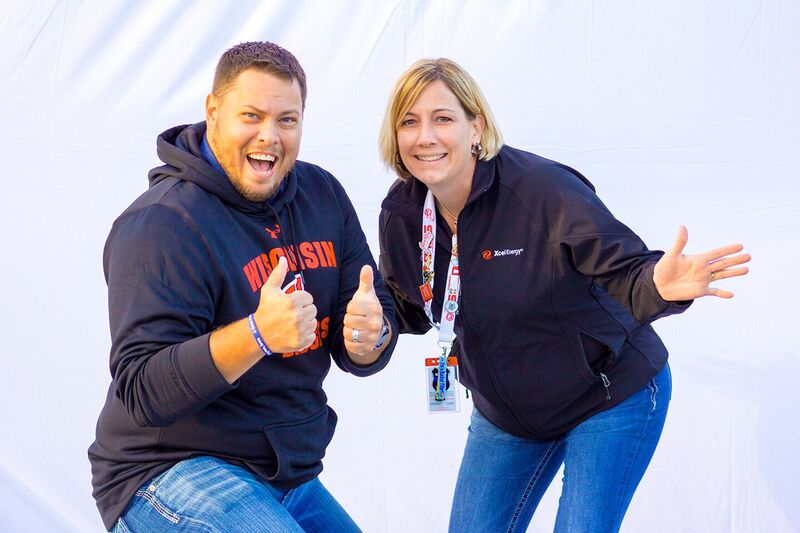 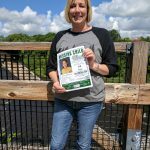 “I’m thrilled about taking the opportunity to share information on missing children during this journey and hope our efforts aid in bringing them home!” Julie Thoney from Xcel Energy and who was on Eau Claire’s team in Season 11, the Xcelerators. 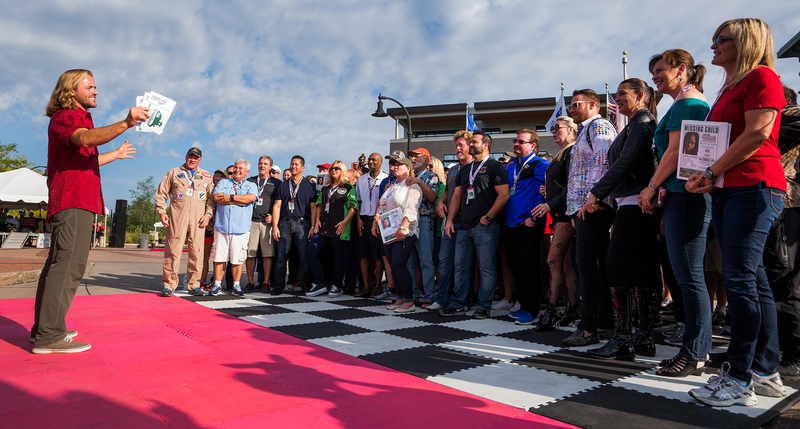 Throughout the live-action competition, every driving team is tasked with distributing thousands of posters featuring a missing child. 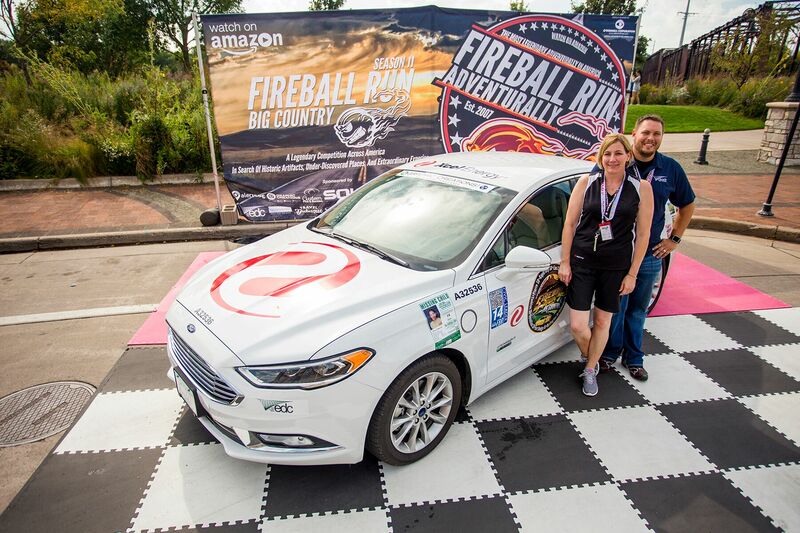 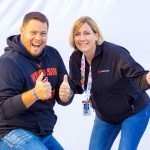 To date, Fireball Run’s Race to Recover America’s Missing Children awareness campaign for the Child Rescue Network, a Florida based charity has aided in over 50 child recoveries. 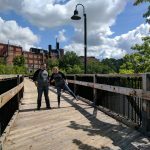 Other featured destinations include Lake City, MN., Olm County, MN., Boscobel, WS., Fennimore, WS., Dubuque, IA., Muscatine, IA., Galesburg, IL., Burlington, IA., Ottumwa, IA., Fort Dodge, Iowa., Sac City, IA., Yankton, SD., Vermillion, SD., and Gregory, SD. 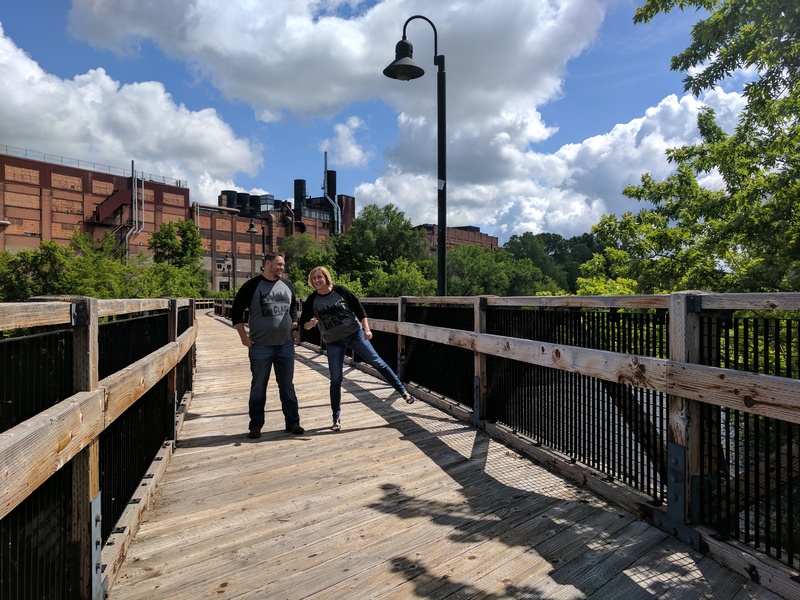 The Eau Claire Area EDC is worked with community partners such as City of Eau Claire, Eau Claire County, Visit Eau Claire, Eau Claire Chamber of Commerce, ECRAC, City of Altoona, Xcel Energy, iHeartMedia, Wisconsin Public Radio, Action City, the Post House, Pine Hollow Audio, DigiCopy, The Oxbow, and The Lismore to bring this exciting opportunity to Eau Claire.